Home›News›Have you heard the one about the Four Conference Venue Companies in the one room all vying for business? Have you heard the one about the Four Conference Venue Companies in the one room all vying for business? You’d think that when looking for sales by presenting to a conference agent that if you put four different companies in the one room it would be a bun fight, cloak and dagger or murder in the presentation room with a promotional branded umbrella. However this is not the case. 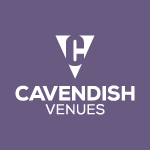 If you’ve been following the blog so far you will know that Dermot Waldron of Cavendish Conference Venues has been spreading the word about our 3, soon to be 5 Conference Venues. What actually happened was co-operation, sharing and generosity. There was no fighting over the best spot, hogging the limelight or sabotage – we were like the little mice in Bagpuss putting the exhibition stand for one of the competitors who was pregnant ; calming the young lady who was new to presenting and fetching glasses of water for each other to ensure we were all hydrated. Yes, you can be competitive in business it doesn’t mean that you can’t be civilised. The young lady who was new to presenting even gave a lift to us – two stranded gentlemen to the train station when there was not a taxi to be found for love or money. Who ever said chivalry is dead or that it’s always the damsel who’s in distress.